My posting has been sporadic as of late. Between traveling to upstate New York for a cross country meet and hosting in-laws, life has been full. The fall color on Long Island came the first two weeks of November–later than usual. 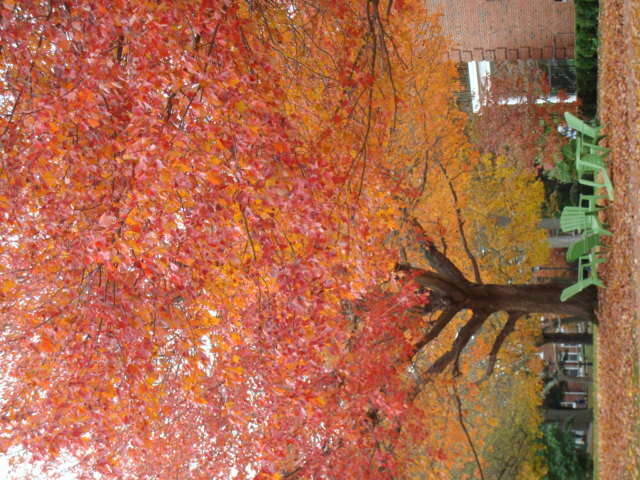 As I was walking across campus last week, the beauty of this tree stopped me in my tracks. I grabbed my camera and took this picture. As the Psalmist says, “the heavens declare the glory of God; the skies [and trees] proclaim the work of his hands. Day after day they pour forth speech” (Psalm 19: 1-2).